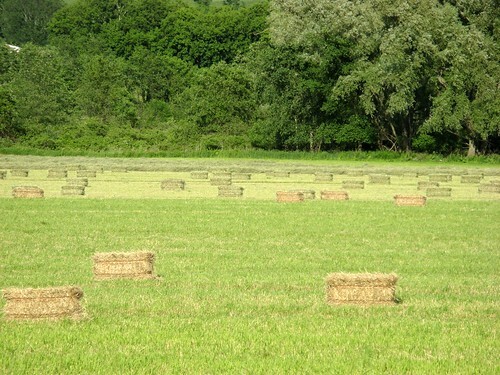 petite hay bales, originally uploaded by jahansell. At least they seemed smallish from where I was standing. It seems unusual to spot the rectangular bales - most often I've seen the big round ones. But these must be easier to stack!